Just days after Amitabh Bachchan’s comments about Abhishek’s role in Raavan appeared on Twitter, the film’s director Mani Ratnam was questioned about it by an interviewer of a popular daily. It is worth mentioning here that Amitabh had tweeted that Beera’s role in the film looks confused. The ace director reportedly told in the interview that the Big B could have telephoned him to express his thoughts before making it public. However, it is the prerogative of each and every person to comment, he said. Mani also added that his fans’ opinions matter the most to him. 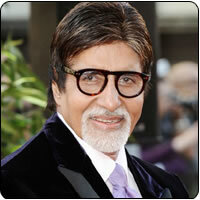 On his next film, the director has said that he has two or three stories in mind and he may take up one of them.